As you may know, I am a huge proponent of jailbreaking. I have jailbroken every iOS device I have ever owned and I can guarantee you that will never change. The freedom of being able to tweak your device to make it your own is so awesome. 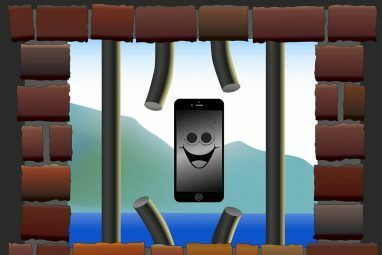 Of course, if you are using your jailbreak to do illegal things, that is a problem, but as long as you are using it ethically, than there is nothing wrong with having a little fun with your device. 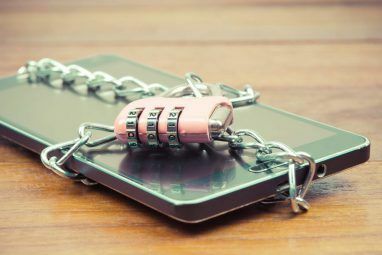 Since iOS 5 launched, developers have been hard at work coming up with creative ways to get their jailbreak applications to work with it, and even finding new ways to make use of the features added by Apple. 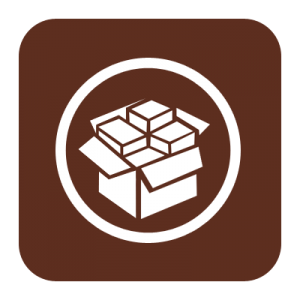 It took a while for a proper untethered jailbreak to come along for iOS 5, but now that it is here, it is great to see how the jailbreak community has come out in full force, bringing some of the best jailbreak stuff we have seen. These apps will work with your iOS 5 device, and they are some of the coolest jailbreak stuff I have ever seen. To download any of these applications and tweaks, all you need to do is search for the name in Cydia. It does not get much easier than that! This cool tweak adds gestures to iOS multitasking. You can swipe up from the bottom of the screen to bring up the multitasking drawer. When in an app, you can also pull from the left or right to switch seamlessly between other applications that are running in the background. It is the quickest and easiest way I have seen to make use of iOS 5’s multitasking feature, and it makes me wonder why it was not included out of the box. This is a simple tweak, but one that is very useful. It simply adds a Google search box to the notification center, allowing you to search the web quickly and easily at any time. You will need to enable the tweak from the notification settings screen, and you will also want to move it to the top, otherwise the keyboard will not line up properly when it pops out. One of the coolest features of iOS 5 is the ability to double tap your home button and quickly bring up your camera without having to unlock your device and find the icon. However, what if you do not use your camera and you want quick access to another app from your lock screen? Well if that is the case, you should check out AnyLockApp. It allows you to choose almost any app installed on your device. This is especially useful for people who use an app like Camera Awesome or Camera+ instead of the default camera application. This neat tweak allows you to control your music right from notification center. It shows you the album art, controls volume and even sends a song via AirPlay. For music lovers, this is an awesome tweak. It hides in the notification center until you need it. BiteSMS is my favorite jailbreak tweak ever made. It takes everything about texting on the iPhone and makes it better. You get quick reply, quick compose, contact pictures in the message list, the ability to send messages on a schedule, timestamps on all messages and so much more. It integrates nicely with iOS 5, as tapping a message in the notification center opens quick reply, instead of closing your current app to launch messages. I have spoken about how amazing SBSettings is Install These SBSettings Toggles And Make Your Life Easier [Cydia Tweak] Install These SBSettings Toggles And Make Your Life Easier [Cydia Tweak] SBSettings makes life easier. Allowing me to shut off Bluetooth, Wi-Fi and other settings in seconds is one of the most awesome things ever. SBSettings has been around for as long as I can remember,... Read More , and I stand by that claim. Now, with iOS 5, you can integrate SBSettings toggles directly into the notification center, if you do not want a separate pop out. Being able to get access to key settings right from your notification center is a huge time saver. If you have a jailbroken Apple device, you should have SBSettings installed. 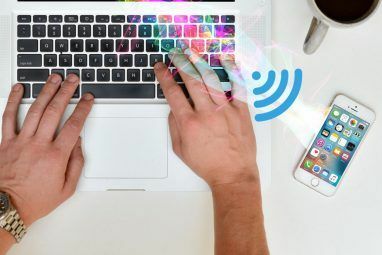 Ever since the launch of iOS 5, developers are getting creative and finding their own ways to take the awesome features of the OS and make it their own. If you own a jailbroken iPhone, you should check out these apps, as they will make your life better. What are your favorite iOS 5 compatible jailbreak apps? Let us know in the comments! zypher is always my first to download, some reason the home botton on the ipod doesnt really respond as well as in the iphone. i like the fact that i can jailbreak my device, gives me a good feeling of being in charge more the apple allows me..
After jailbreaking I always find myself itching to get Lockinfo, BiteSMS, FolderEnhancer and SBSettings on my phone. In no particular order, but those are usually the first to make it to my device (not just the public releases either, beta repo = latest versions ;D ) as they're ESSENTIAL to daily use. After that, idk, less "must-have" tweaks but still very useful ones all the same get downloaded such as Zephyr (as mentioned in the article) as well as Flowtation, both of which are simple but really useful tweaks that feel very natural and native on the iOS platform like it could've/should've been something Apple itself designed for the iPhone. KuaiDial (find beta repo online, i don't think it's on any of the default sources) for putting contact pics on your phone contacts, favorites, recents, and a t9 dialer pad plus contact pics on the SMS app, built in blacklisting features, tweaks for incoming and outgoing call displays and the list goes on and on (did I mention all these features are FREE?). OpenNotifier and Statustweak to help make room for all those new status bar notification icons that are infinitely more efficient and useful than those useless "app badges" are, and more intuitive that having to hesitantly pull down the notification center each time to see if there is any new activity on your other apps. Then I guess throw in some Siri tweaks for good measure (if you're not a 4S user like me this obviously requires the extra step of getting Siri on your device via installing Spire + getting 4S auth keys via AssistantConnect or just use a proxy server) and I'm usually all set with the basics of my jb tweaks that make my phone infinitely more useful and yet still feel like a natural iPhone without overkilling it on the tweaks. Everything I install feels like a natural part of iOS and I like it that way. I used to be a heavy themer and modder, but in regards to tweaks "the more the merrier" isn't exactly the best mantra for me anymore. I don't theme and I don't get tweaks/apps that feel out of sync with the whole iOS experience, all of the jb tweaks I get now generally follow in the model of Zephyr or Flowtation: simple, clean, native. Awesome comments, love the recommendations!